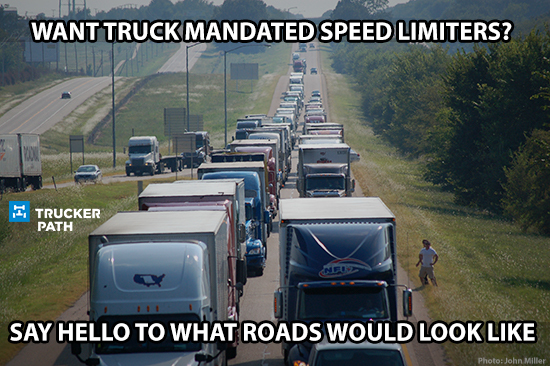 The misconceptions you hear from 4-wheelers about truck drivers can be laughable and frankly, absurd. 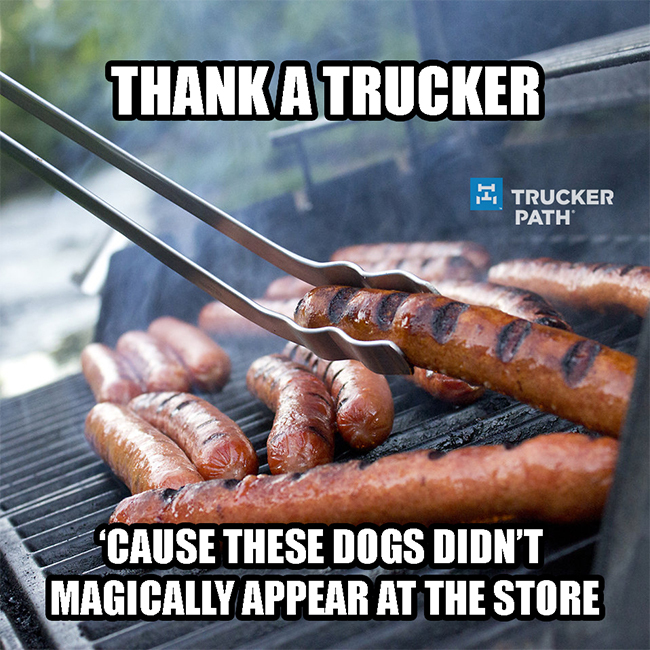 At Trucker Path, we like to refer to these misconceptions of truck drivers as “Tales of an Uninformed 4-Wheeler”. Some are so crazy that all you can do is laugh at them. 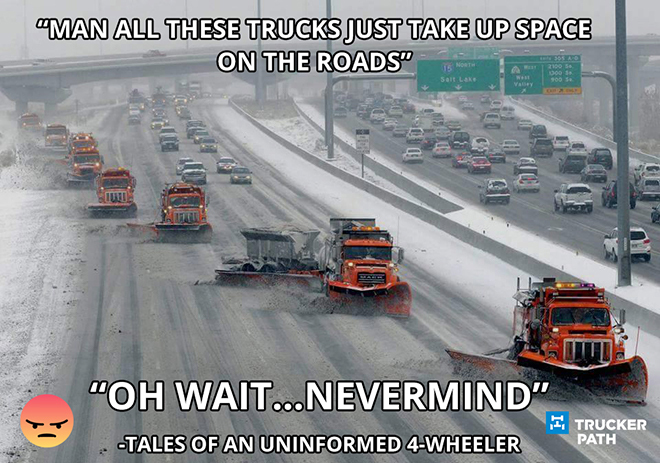 Sometimes 4-wheelers just don’t understand what it’s like being a truck driver. Trucking requires learning an all new set of laws, regulations and the skill to drive an enormous big rig in some of the tightest spaces. It’s unlike any other career. Why do trucks pass each other on the highway? 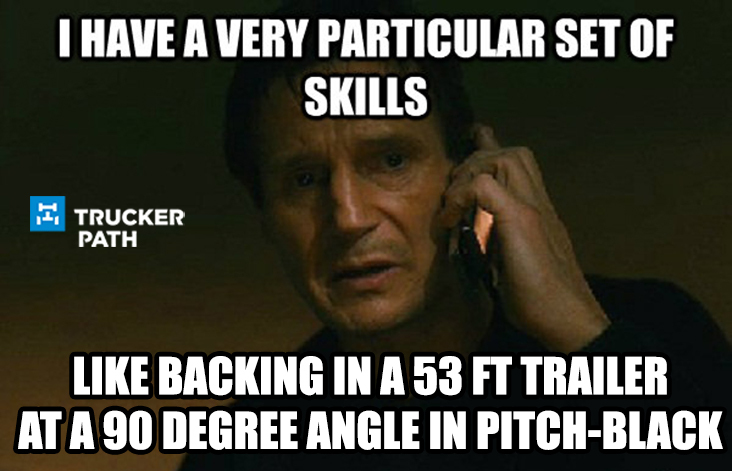 You hear this all the time. A 4-wheeler gets stuck behind a truck for a few seconds while the truck driver passes another big rig. There are several factors that play into this. It’s partly because some trucks are governed at a certain speed (some 60 mph) and some are governed at a higher mph or not at all. Also, some trucks carry much heavier loads than others. An incline in the road can also factor into this occurrence as some trucks hauling cargo uphill struggle to even go 50 mph. Due to this, some truck drivers have no choice but to pass a slower or heavier truck but at times, can only go a certain speed to pass. Now the Department of Transportation has proposed a speed limiter for all commercial trucks weighing over 26,000 pounds. If the proposed truck speed limiters mandate passes, you will see a dramatic increase in this “inconvenient truck passing”. Then there are some 4-wheelers who think trucks are an inconvenience on the road altogether. Not only do truck drivers deliver 80 percent of all cargo in America, but they are used for disaster relief and various other tasks to make life easier for 4-wheelers. Or the ones who think driving a truck is a simple job because all truck drivers have to do is sit in a chair. Did we forget to mention that driving a truck is the deadliest job in America. In 2015, there were 745 truck driver fatalities, more than any other. It’s time we debunk the myths about truck drivers. Don’t like trucks? Better rethink that one. Without truck drivers, shelves would be full of dust within a few days.